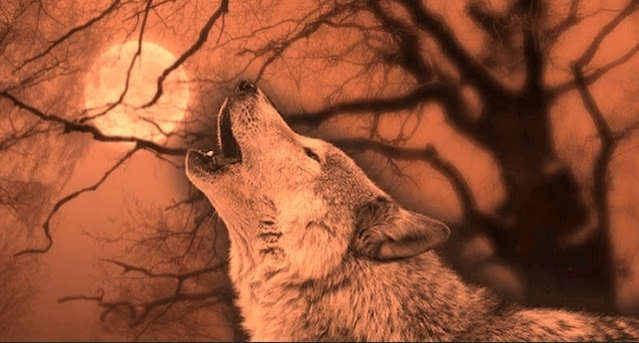 White Wolf : Here Comes Fall: Harvest Moon 2018 Rises Tonight! With unseasonably warm summer temperatures persisting over much of the world this year, it seems hard to believe that this is the week of the Harvest Moon, the full moon nearest to the autumnal equinox. Saturday, Sept. 22, was the first official day of autumn in much of the Northern Hemisphere, even though it will still officially be summer through the daylight hours. The moment of the equinox — the official end of summer and beginning of autumn — will not arrive until 9:54 p.m. EDT. East of the prime meridian, where the equinox occurs after midnight, the first day of fall will actually be on Sunday (0154 GMT, Sept. 23). This year's version of the Harvest Moon falls in September, although on occasion, this branding can be conferred upon the October full moon. From 1970 to 2020, this calendrical oddity happens a dozen times and in fact happened just last year. 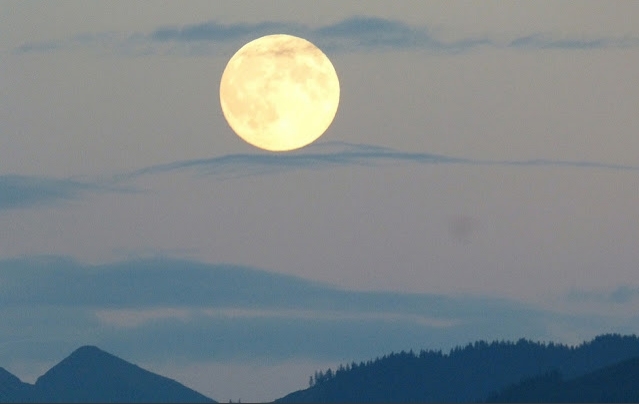 The Harvest Moon can occur as early as Sept. 8 (as in 2014) or as late as Oct. 7 (as in 1987). This year, it's merely a beautiful late September moon that will provide a series of bright moonlit nights at a time when the seasons are at the turn. The next full moon, on Oct. 24, will be the Hunter's Moon, traditionally touched with frost and framed in the glorious colors of autumn leaves. The seasons march on. Summer wanes and comes to its end with this weekend's waxing moon. Native American Names: Soaproot (Pomo). Corn Moon (Pueblo). Harvest moon (Hopi). Singing Moon (Celtic). Leaf fall Moon (Kiowa). Ripe Moon (San Juan). Maize Moon (Natchez). Acorns Moon (Wishram). Rice Moon (Anishnaabe). Hay Cutting Moon (Yuchi). Mulberry Moon (Choctaw). Deer Paw Moon (Omaha). Snow Goose Moon (Cree). Freshness Moon (Mohawk). Harvest Moon (Neo-Pagan). Harvest (Colonial American). Little Chestnut Moon (Creek). Corn Maker Moon (Abernaki). Drying Grass Moon (Arapaho). Yellow Leaf Moon (Assiniboine). Drying Grass Moon (Cheyenne). Autumn Moon (Passamaquoddy). Barley Moon (Mediaeval English). Calves Hair Growth Moon (Dakota). Yellow Leaf Moon(Taos Native American). Nut Moon, Black Butterfly Moon (Cherokee). Drying Grass Moon, Black Calve Moon, fScarlet Plum Moon (Sioux). Harvest Moon, Corn Moon, Barley Moon, Fruit Moon, Dying Grass Moon (Algonquin). Responses to "Here Comes Fall: Harvest Moon 2018 Rises Tonight!"